I ran, and I felt the sun wake the earth. I saw my husband discover his childlike joy again. I watched dolphins from a rustic dock. Community with family I rarely see. Restoration from life’s weariness. The reminder the world is much, much bigger than our everyday. All gifts. All grace. But pain is often part of the Puzzle we’re trying to piece together here on earth. Even on vacation. 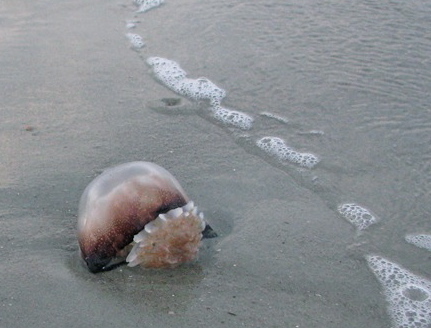 And with experiences only the beach can etch on our hearts comes the sting of the jellyfish. The oldest grandchild, the youngest grandchild, and the husband discovering his childlike joy again after life’s deeper sting – all victims of its randomness. Together we pondered marine biology and ancient history and theology. And I winced. I still cringe today, for my daughter’s sting was so tiny compared to the pain she’ll face as her life unfolds. Sometimes its easier to look back on the mysteries of history instead of looking ahead. And the Puzzle, it can be so frustrating, but we keep coming back for more. We try and fail and try again. We work with the hope of wholeness. Work toward restoration. We were made for complexity. Made to wrestle the deep. And the unsatiated longing keeps us going, keeps us piecing together the mystery until every piece is in it’s place. We’ll be piecing until the dawn of eternity, connecting pain with beauty, suffering with wholeness, heartache with understanding. Yes, we’ll be piecing until each fragmented piece becomes peace forevermore. Help me see You, God, amidst all these pieces. Help me want to see You. Guard me from bitterness as you grant the hope of a mystery fulfilled. Calm me when the Puzzle isn’t beautiful yet…when I’m too scared to pick up another piece. This post can also be viewed as a guest post at the Greentree Community Church blog (St. Louis, Missouri). Trying to get them to fit —smashing them into places where they don’t belong…so I can see the patterns and the picture before I’m ready. Longing for closure and answers and unwilling to wait on Him to bring them in perfect time. But then choosing to settle for ancient or incomplete images to avoid the pain of what new pieces bring…. I love the way you can slow down a moment and find Him there. The way you find truth and grace in the snapshots of life. Karen, thanks for reading, for sharing your thoughts, for encouraging. Smashing and forcing pieces together as I long for closure – I know that all too well. 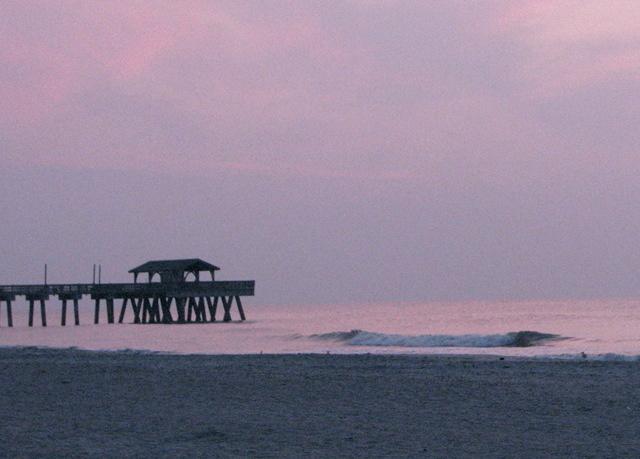 I love the photos of Tybee Island! And your reminder that pain is part of our human condition. No joy without sorrow, no pleasure without pain. It seems being human brings pain, no matter how much I try to avoid it. Yes, I thought of you when I posted these pictures. 🙂 “No matter how much I try to avoid it”… I’m with you there. Your analogy is exquisite, Christan. We work at putting together this Puzzle with no cover photo to guide us, imagining what it will look like, when only He knows the finished picture. We will always have pain and trouble; we are human, after all. Thankfully, He walks beside us or carries us every step. Beautiful post. Yes, thankfully, He carries us every step or walks beside us. Thanks for reading and commenting, Susan.